A committed and highly motivated team focused on servicing the needs of our clients. 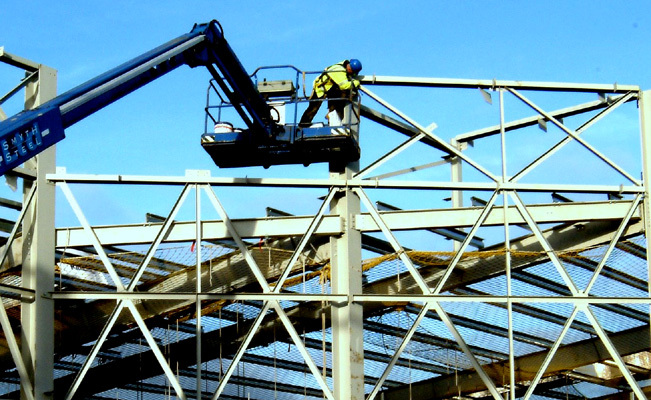 Our personnel are trained to meet the demanding requirements of today’s Construction Industry and in line with our Quality and Health and Safety Procedures. The latest in computerised CAD Detailing and Management technology. CAM data is transmitted electronically to a range of computerised fabrication equipment, a vital aid to efficient, cost-saving production. A semi-automatic shotblast line and a dedicated controlled-environment paintshop. A purpose-built factory extending to about 100,000 sq ft on a 10 acre site, all wholly owned by the company. A fleet of commercial vehicles for delivery to sites, and a range of site equipment including craneage to 50 tonnes capacity and elevating work platforms to 18 metre height. Delivering a strong financial performance, the company is adequately funded to finance any project within it’s extensive capacity.